You may visit a photographer so much during your baby's first year that it's nice to get a break as your child's features change more slowly. However, there are still some excellent milestones to capture as your little one begins to grow up. Most of our clients with little ones who are five years old and younger, tend to visit us twice a year. The main dates that tend to bring our clients through the door are their child's birthday, Easter or Christmas. Easter portraits are traditionally Spring portraits and are not necessarily something you have to deliver to family at Easter. Christmas portraits, on the other hand, are something that are great to give as gifts during the holidays. Most Christmas portraits are done in the fall and therefore the final portraits are ready well before Christmas. 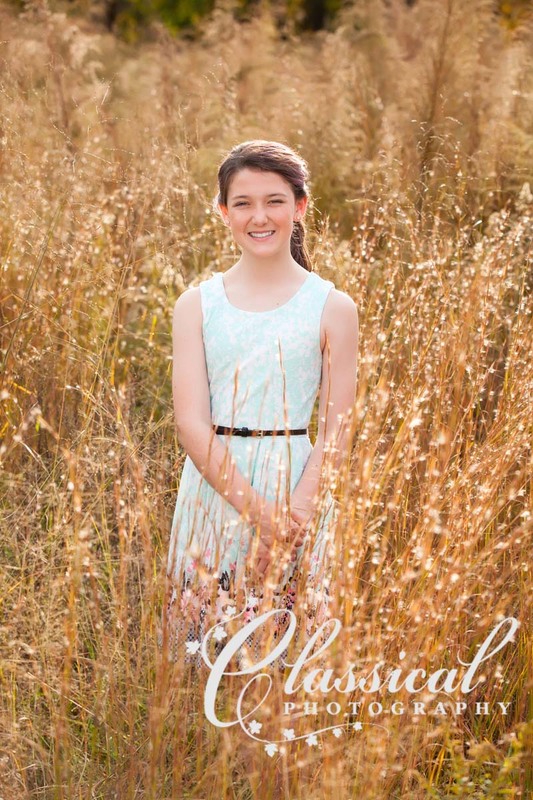 One thing that we have always tried to do with our girls is to at least create a beautiful portrait of them each year. The younger your child is, the more challenging the session can be. The toddler years make for very stressful visits to your photographer. We've always felt the “terrible twos” began once your child really gets their feet underneath them. 18 month olds, two year old and two and a half year olds are very busy, fast and distracted. It always takes a bit more effort and planning to get an excellent set of images of these ages. However, magically, something happens by the age of three. Your child begins to understand the concept of “If....Then”. “If you sit quietly for a little while longer, then we'll go to the lake and feed the fish.” Or “If you throw your toys again, then you'll have to go to timeout.” This grasp of reward and punishment suddenly makes most of the photo shoots you have flow much easier than they might have in the past. Sessions at three, four and five years of age result in some of the best portraits you'll ever have. Your child will do so much better at these ages and they'll take direction extremely well. This is the stage when your little one will really enjoy helping mom or dad with little tasks around the house. We highly recommend seeking to capture “the defining portrait” of your child at age four, five or six. This portrait is the most important one to create before your child begins to lose their teeth and move on to the first few years of elementary school. A five or six year old still looks like your little baby girl or boy. A seven or eight year old suddenly begins to look much older. Once the front teeth come out, the moment has passed you by. We make sure we create one gorgeous portrait of our family every fall. We've been doing this for many a year and we utilize images from these sessions to create our annual Christmas card. We have created these images at our studio, on the grounds of our studio and even on-location. 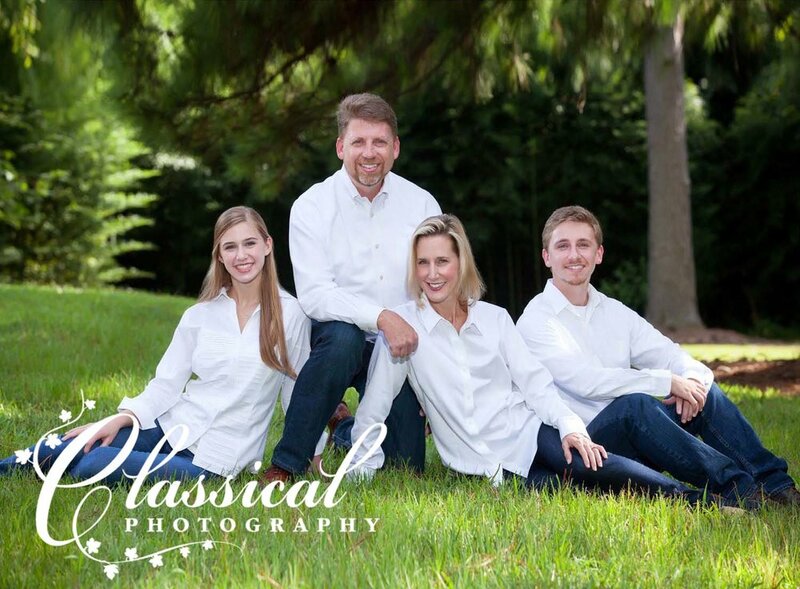 You of course, have the very same option if you contact us about a family portrait session. We can usually accommodate a small family inside our studio. However, if you have a group that consists of five or more adults, we usually suggest a session outside. We do have some amazing options here on our property for you to utilize. Or, we're more than happy to come to your home or a different location in Carroll County to create the portraits. We traditionally create images of the entire family together, then some of mom and dad, some of the kids together and some of the kids individually. If there are other groupings that you need, don't hesitate to ask. Larger family groups that consist of more that one family together will incur a higher session fee.